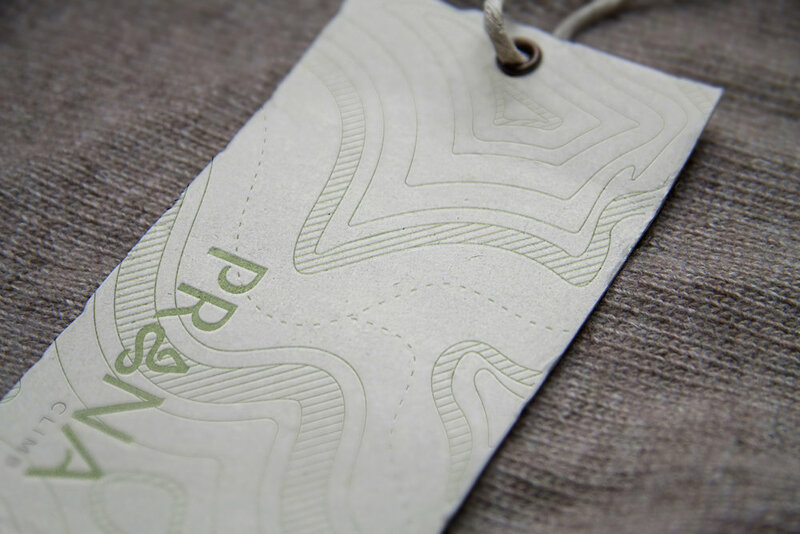 Prana is an active lifestyle brand with a focus on sustainability and community. It aspires to be that something you can throw in your bag and know you will be ready for whatever your journey brings. An active lifestyle brand with a focus on sustainability and community. It aspires to be that something you can throw in your bag and know you will be ready for whatever your journey brings. To create a unified brand that represents all of Prana's passions: yoga, climbing, swimming, traveling and active lifestyles. A focus on the active, conscious adventurer. No matter what your journey brings, Prana will help you be prepared. Three logo directions were explored before deciding on the new logo design. Melding of Old & New By melding the basic shape of Prana’s original icon and its roots in yoga with the shape of a vertically directed path, this logo direction better tells the story of Prana being the clothing of choice for all of life’s adventures. Personal Journey This direction focuses on Prana as a personal journey. The melding of a fingerprint and topographic map expresses the desire and ability to go wherever life takes you. From Point A to B Since Prana prides itself on being appropriate for any part of one’s day, the use of a dashed path through a strong typeface tells the story of being confident from point A to point B in your life.